The Community Needs Assessment and Outreach (CNA&O) committee identifies a particular need in the community and focuses on meeting that need. The organization as a whole and ALF, CAP, and Assisteens as individuals participate in these philanthropic projects. In the past, items such as food, personal care products, books, and electronic equipment have been donated that contributed to the health, well-being, and success of those who receive them. When members of Assistance League of Flintridge learned that teens “age out” of foster care as “emancipated minors” on their eighteenth birthday, they wanted to know more. They found that at a local high school there were eight such individuals, and another was living in a neighboring community. These young persons needed to set up housekeeping independently in their own living quarters. The ALF Community Needs Assessment and Outreach committee consulted with the Foster Youth Achievement Program in Student Health and Human Services, and the Los Angeles County Office of Education, Foster Youth Services Coordinating Program. With their input and guidance, the ALF committee compiled a “wish list” of items needed by the teens in foster care. All of them were graduating from high school and planned to continue their education. “Our committee identified these young persons as being deserving of extra support at this transition in their lives,” said Linda Gill, CNA&O Chair. For each young person, the committee purchased a lap top computer and a protective sleeve. They also purchased a bedding set including sheets, pillow cases, and comforter. In addition, a list was posted identifying other items that Assistance League members could purchase individually and donate, including coffee makers, office supplies, household items, and personal care products. 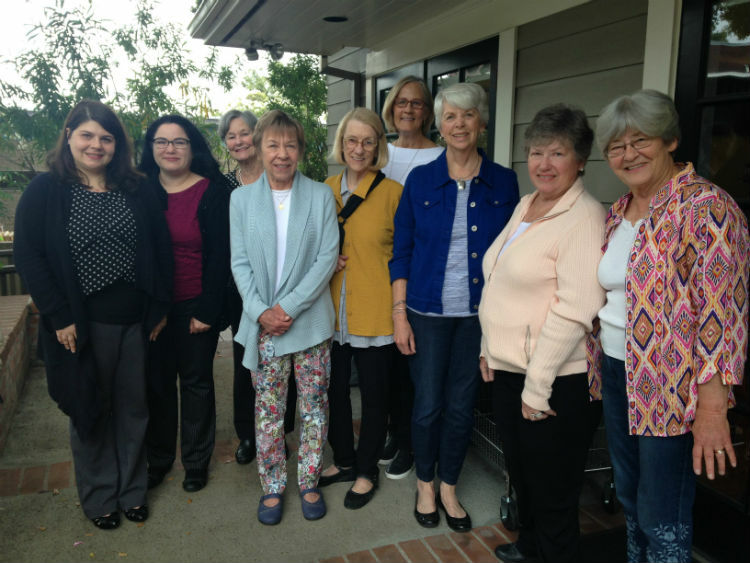 Assistance League of Flintridge funds philanthropic programs and projects with earnings from its thrift shop, The Bargain Box, which is managed and staffed by ALF member volunteers. Each year in October, Assistance League of Flintridge has participated in Make a Difference Day, a philanthropic endeavor that is celebrated nation-wide. In 2016, ALF donated over 300 new books to the Plainview Charter Academy Elementary School library in Tujunga. “When will the new books be here?” an eager student was heard to ask after learning that more than 300 new books would soon be on the school library shelves. Members of Assistance League of Flintridge had organized a book drive for Plainview Charter Academy, allocating $3000 to purchase new books for the recently renovated library. Plainview Elementary librarian, Luz Mendieta-Lopez, was invited by ALF to compile a list of titles that the students would enjoy. The books were then purchased and donated to the school by Assistance League of Flintridge with funds from the Bargain Box Thrift Shop. ALF’s gift of books was announced by Plainview Charter Academy Elementary Principal Kenneth L. Johnson at a school assembly. Johnson encourages his students to love books and has arranged for the school library to be open after hours two afternoons each week. 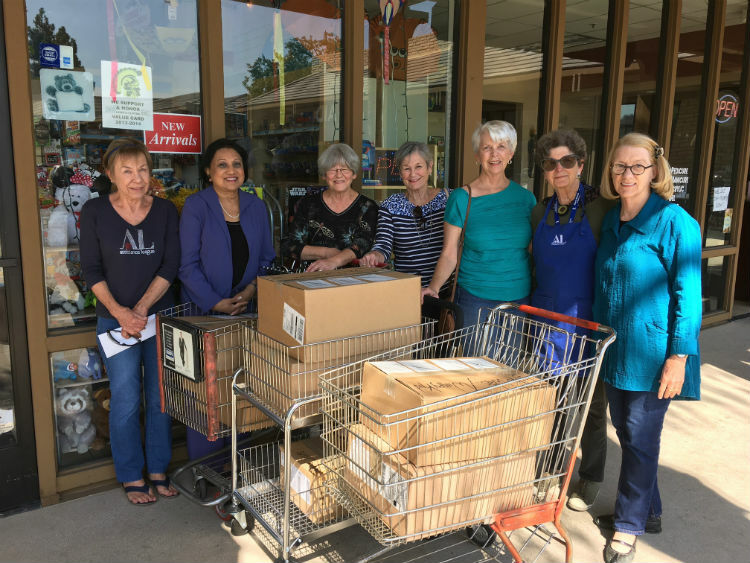 The ALF Community Needs Assessment & Outreach committee also worked closely with Uma Shrivastava, owner of La Cañada Book and Toy Store, to purchase the requested books. She provided the books for a generous discount. Many Assistance League of Flintridge members also individually chose to buy books on the list to donate to the school. 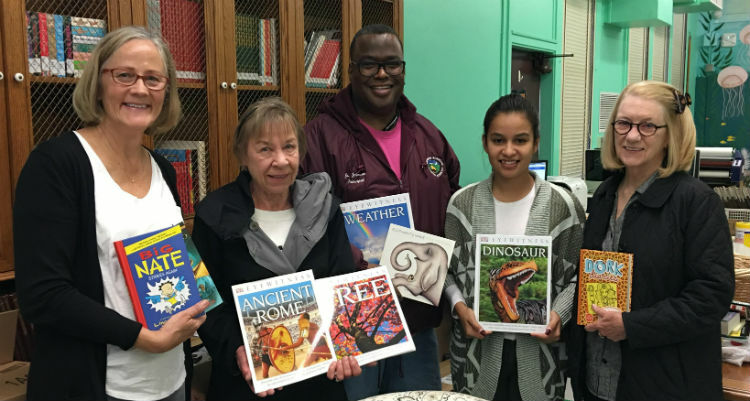 Assistance League of Flintridge chose to undertake this book drive as its participation in USA Today Weekend Magazine’s annual nation-wide Make A Difference Day. Past recipients for this annual event include the La Cañada Flintridge County of Los Angeles Public Library, the Special Day Preschool Classroom at Paradise Canyon Elementary School in La Cañada Flintridge, Apperson Elementary School and Sunland Elementary School, both in Sunland. For more information, contact the Programs Office at programs@alflintridge.org or 818-790-2211.